This is a pretty good way of interpreting what they feel into words… I like it as their teacher… But what is the meaning of Yoga? In Sanskrit, Yoga translates literally as “union or connection”. To fully understand this we need to look into what makes them feel this way when they practice and why it differs from a classical yoga asana practice. What makes Scaravelli inspired Yoga different? Is the meaning of Yoga different too? What they are expressing is a feeling of being spacious in their bodies, lighter and more alive. They are able to do this because they have literally put themselves back together… joined up, though joints and bones, by letting go of trying to stretch. Our yoga practice has less to do with superficial muscle and more to do with the connective tissue and the bodies natural responses to releasing muscular tension. Through this amazing structure of bones and myofacia web, forces are transmitted. Monitored by our nervous system a change in tension is felt as space. We experience this as awareness for we cant be present unless we are aware. Why Scaravelli is not like a classical yoga asana practice? The Asana is a shape we will make with our bodies. When the focus of asana practice is to achieve a high level of perfection & it is commonly taught that an asana has an optimum level. Why do this? Possibly to deliver you into many benefits after years of practice?.There is a real danger of systemising the yoga. A one sizes fits all scheme that you have to work hard to achieve. Indeed it has been taught in this way in countless styles and schools in the west since the 50’s. The Yogi is subjecting themselves to the will of the mind, literally bending the body around the posture. Alas we are not all built the same and this approach does not work unilaterally. If on the other hand we take a more individualised approach we can develop postures around the body instead. This is a revolutionary idea. An Idea that lead Vanda Scaravelli to inspire many other yoga teachers to adapt their ideas of what yoga means. Of what yoga asana means and how to go about teaching it to their students. Where does practicing yoga like this make sense? In any yoga class if you dare… but especially in a Scaravelli Yoga environment. I recently themed a Scaravelli Yoga Workshop at Isle of Yoga with the title; “Joined Up”. I wanted to facilitate a day in which students would have a direct experience of what “joining up” meant. The bodies natural response to really resting through the bone structure and how this changed the way they experienced Yoga. Bones have a directional layout. Limbs; towards the spine through the pelvis and shoulder girdles respectively. Imagine what two standing structures leaning together looks like. Forces travel through where they touch. If this is the body its the joints. Knees, elbows, wrists, shoulders and hips. Thus when these joins are free of tension the structure is inherently stronger. This is how our bodily joints work too. In a Scaravelli class you are encouraged to stop forcing joints to open by traditional stretching. Already we are beginning to understand the principal behind the Joining Up theme. Add to this the Sanskrit meaning of Yoga “connection” and you begin to see how being joined up, quite literally will offer you a different yoga experience and insight. I love teaching and sharing this insightful way of practicing yoga. 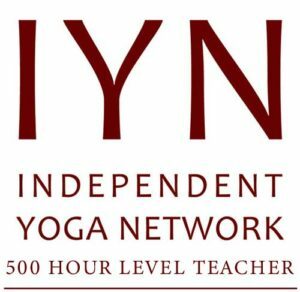 I plan on running a series of workshops at Isle of Yoga in 2019, starting on the 3rd February. Why not join me for a day and find out for yourself why Scaravelli inspired Yoga really reaches the parts other yoga practices cant touch.